Dawson Solicitors have a 30 year history in serious personal injury claims and have spent the last 20 years specialising in Spinal Injury Compensation claims. They are a member of The Law Society Personal Injury Panel, act as Senior Litigator – Association of Personal Injury Lawyers and are Panel Solicitor for the Spinal Injuries Association. To ensure the best possible outcome they undertake no more than twelve claims at any one time and deal with each one personally, whether the accident occurred in Great Britain or overseas. Although no amount of money can ever fully compensate for losses sustained by life changing injuries, significant damages can ensure a future which is as comfortable and secure as possible. Since 2000, Dawson Solicitors have helped their clients obtain damages in excess of £80m. 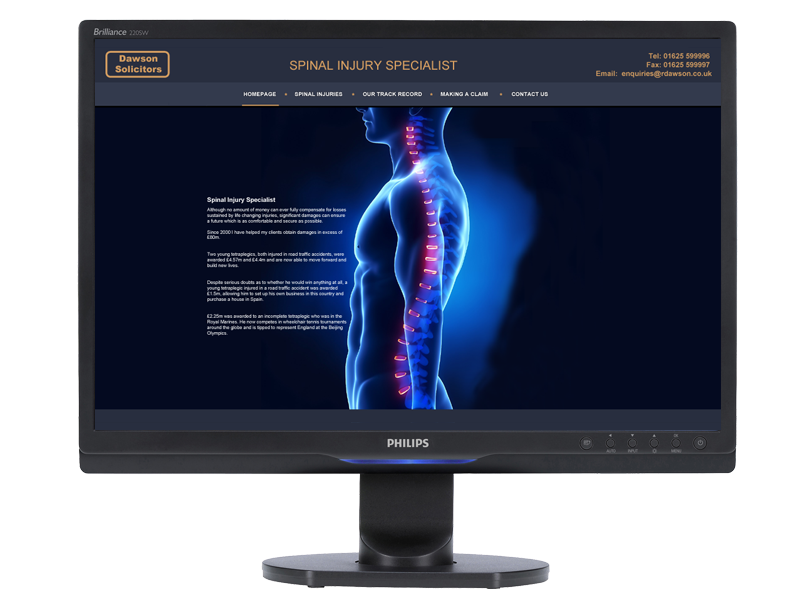 InForm Web Design acted as a web agency for Dawson Solicitors, developing their online presence with a website promoting their expertise in Spinal Injury Compensation claims. 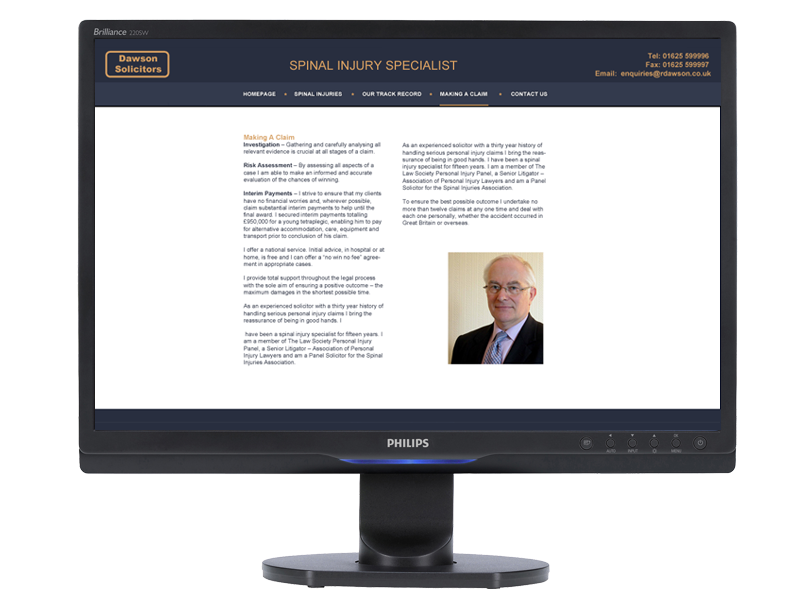 An important feature of the site was to encapsulate the personal level of service given to clients by Dawson Solicitors and their links to spinal medical professionals. The site was developed using the WordPress Content Management System (CMS). We chose WordPress for this implemetation as it met the functional requirements for the proposed site perfectly. It enabled rapid prototyping, is highly customisable and allows for organic growth. Most importatntly, the staff at Dawson Solicitors were comfortable with the editing features, allowing for in-house updating of much of the site's content.